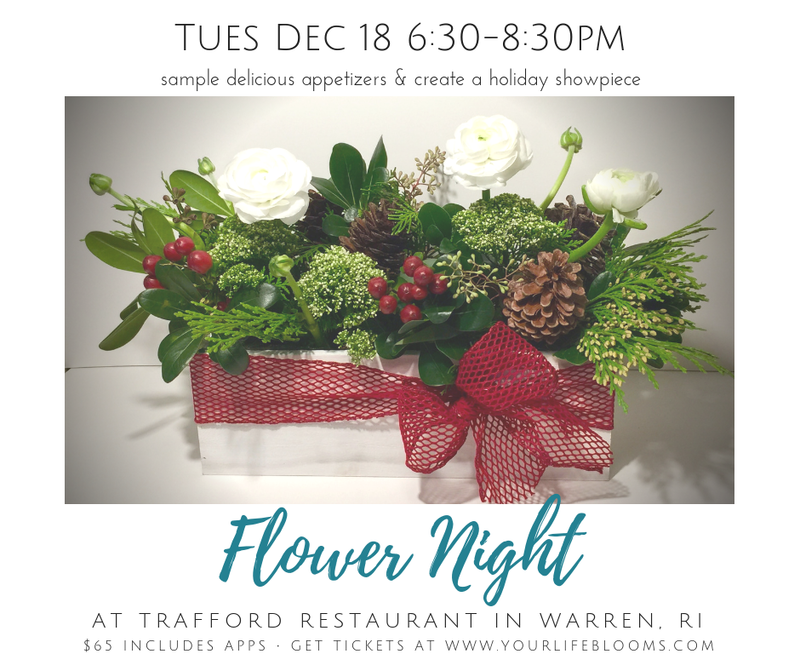 Join us on Tuesday, Dec. 18 for our second Flower Night hosted by Darlene Azadnia of Your Life Blooms. The featured arrangement for this event is a gorgeous and festive showpiece perfect for your holiday decorating or gift giving. Bring your friends, or come and make new ones! Want to see what a Flower Night is all about? View a gallery of photos from our last Flower Night in November. Get your tickets in advance at www.yourlifeblooms.com. $65 includes a large, fresh flower arrangement and delicious Trafford appetizers. Register soon—our first Flower Night sold out!